K-O There are 112 products. The debut magnum opus album from MARE! After 8 years in the making its finally ready, well worth the wait! Deluxe release: Gatefold cover in slipcase sleeve with partial lacquer finishing. Sample: https://soundcloud.com/terratvr-possessions/mare-nightbound Nidrosian Black Sorcerous Art. https://marecognitum.bandcamp.com/album/the-sea-which-has-become-known Verdant Depths variant (semi-transparent dark marbled green) limited to 400 copies. https://marecognitum.bandcamp.com/album/spectral-lore-mare-cognitum-sol Gamma Ray Burst (semi-transparent dark marbled blue) variant limited to 400 copies. https://midnight-ohio.bandcamp.com/album/sweet-death-and-ecstasy Limited pressing. With inlay & poster. Australian band MIDNIGHT ODYSSEY combines depressive black metal with doomy and ambient music. Apparently based on primitive structures and melodies, Firmament builds itself on layers upon layers of monumental guitars, enchanting keys, hypnotic rhythms, and burzumish vocals. https://terraturpossessions.bandcamp.com/album/misotheist-misotheist Luxurious gatefold sleeve, HEAVY vinyl, A2 poster and 12"-booklet: all on matte paper with partial-lacquered details. Terratur Possessions. Limited to 500 copies. Listen here!Housed in a solid gatefold sleeve with gold print and new artwork, incl. a 12" insert on heavy paper stock and a black paper innersleeve with protective layer. Limited to 150 copies. With 12" inlay. Limited to 150 copies with 12" inlay. 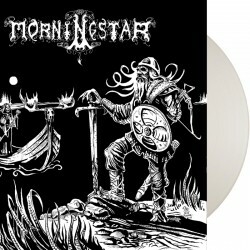 Splatter vinyl limited to 200 copies. Excellent Russian progressive pagan/Black metal: MOR submitted single track consisting of 4 parts (20 minutes) in their predictable “progressive” and melodic style. Two cold ambience by Siberian LIHOLESIE at the other side. 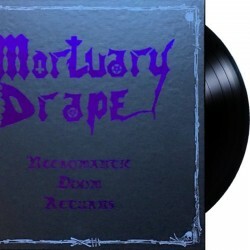 https://mortuarydrape.bandcamp.com/album/necromantic-doom-returns After years in the making, Iron Tyrant is proud to present "Necromantic Doom Returns", the first ever vinyl release of the essential Mortuary Drape demos. 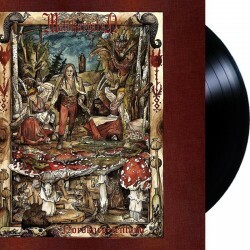 https://mystifier.bandcamp.com/album/protogoni-mavri-magiki-dynasteia Gatefold sleeve, heavy RED vinyl - limited to 300 copies - first press!